Close any desktop apps you have open—this will prompt you to save your work. 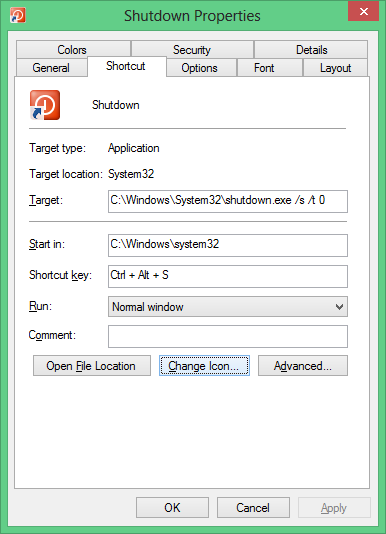 5 steps to shut down my machine? It's as if Rube Goldberg was head of the UI design team for Windows 8! 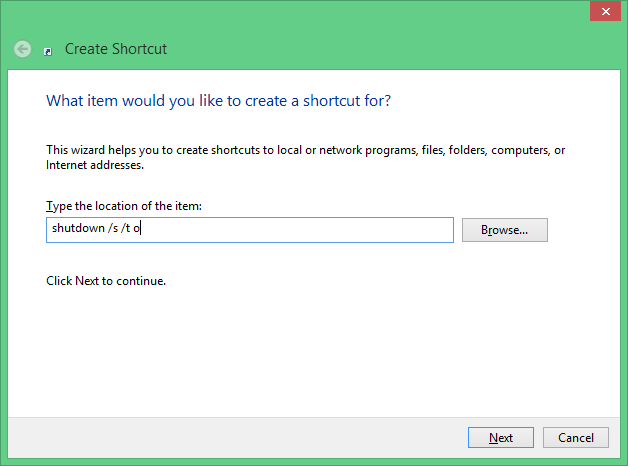 Go to "New > Shortcut"
In the location field, type "shutdown /s /t 0" (without the double-quotes). Give it a nice power icon by right-clicking the newly created shortcut and going to properties. You will see a "Change Icon" button there. You can either place this icon on the desktop in the lower right-hand corner as I have done, or pin it to your start menu. You can also give it a shortcut key to make the whole process even easier. If you are still using windows 8 and are missing old style of windows 7 start button, then there number of third party applications available on internet to help you. Just Fogle for 'start button for windows 8'.